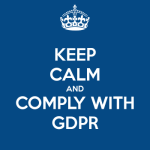 There is a good chance that you will have heard about General Data Protection Regulations or GDPR. This new way to protect, store and use data is coming into force on 25th May 2018 and it is going to have a huge impact across all sectors, including the Early Years, when it finally does happen. The question is are you ready for it? One area that it will affect is the personal data of the staff within your nursery setting, and in particular the consent that applies to this data. Currently when searching “GDPR for the Early Years” online, it generates over 37 million items of content and it is safe to say, not all of it is for the faint hearted. 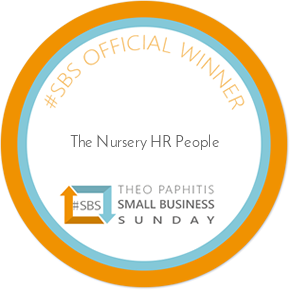 At The Nursery HR People we aim to be your one stop shop for all GDPR HR related enquiries and to help you to understand GDPR and what it actually does mean in practice, for you, from an HR perspective. Before the introduction of GDPR, staff consent for the processing of their personal information was more than just a little on the easy side. All you needed to do was to hand over a contract or company handbook, that contained a catch- all clause applying to various aspects of working within your setting. Once the employee had signed this, they had agreed to all policies. What changes does GDPR mean? GDPR has introduced some huge changes, particularly when it comes to employees consent to data processing. The regulation states that employees consent to data needs to be “freely given, specific, informed and unambiguous”. This means that as an employer, particularly as a HR department, you must always be clear and specific when it comes to obtaining consent. The employees must understand exactly what they are agreeing to (or disagreeing to if they choose that option) and you need to bear in mind that they can withdraw consent at any time. How can I prepare for these changes? So, you know that these changes are about to come into force, this means that there is absolutely no reason why you cannot be prepared for it. The first is that you need to review how and where you process the data that you hold for your staff. You should also be able to identify what the legal basis is for holding data on them. Whilst it should be the case that the majority of the staff will give their consent for you to hold their data. There should be something in place if they decline. You should also have plans in place should an employee who has previously given consent decides to withdraw it. Finally, you need to assess how to achieve the right balance. You are likely to have a legitimate reason for holding this data, however, you really should think about the rights of the employee too. This is a hard balance to achieve. There is just a matter of months before GDPR comes into force. Make sure that you are ready and you shouldn’t feel too harsh an impact in your business.